Can you confirm these amateur observations of Eulamprus quoyii? Type locality: see type data. Reproduction viviparous. There is evidence for maternal-fetal transfer of nutrients in this species (Blackburn 1994). Diagnosis Description (genus): A group of lygosomines belonging to the Sphenomorphus Group (Greer, 1979b), sharing the derived features of moderately expanded palatal rami of the pterygoids and viviparous reproduction, but lacking the derived character states of other members of this Group. Within this genus, the E. quoyii species group shares four derived character states: third pair of chin shields separated by five smaller scales; inguinal fat bodies absent; distal supradigital scales in a single row; subdigital lamellae grooved, divided basally (after Greer 1989). Other features shared by all species in the complex are as follows. Nasals separated medially. Supranasal and postnasal scales absent. Two subequal loreals. A single preocular. Lower eyelid scaly. Three presuboculars, the third penetrating downwards in front of the subocular supralabial. Two or three subocular scales. Four supraoculars, the first three (rarely first two) contacting the frontal. Two or three postoculars lie between the posterior supraciliary and the parietal; the dorsalmost and often the largest of the secould be regarded as a small fifth supraocular, and its designation as a postocular here is arbitrary, reflecting traditional treatment of these species (e.g. Cogger 1992) as having only four supraoculars. Frontoparietals paired; interparietal distinct. Primary temporal small, variable intraspecifically, sometimes scarcely distinct from postsubocular scales. Upper secondary temporal longer than deep, contacting lateral margin of parietal scale and bordered below by single lower secondary temporal which is deeper than long; upper temporal may be divided by a vertical suture and lower by a horizontal suture in a minority of specimens. First pair of chin shields in broad median contact; second pair separated by a single scale. Ear opening large, three-quarters the size of the eye, its margin smooth-scaled and without projecting auricular lobules. Median pair of preanals much larger than lateral preanals. 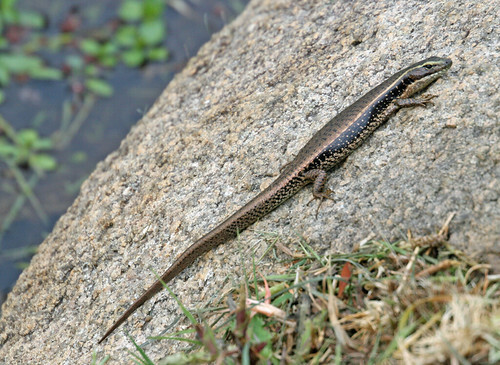 Water skinks show ontogenetic variation in two significant scale characters. In the Sphenomorphus Group, each parietal is usually bordered along its posterior margin by a transversely enlarged nuchal (medially) and along its lateral margin by the upper secondary temporal and an additional large scale intercalated between the nuchal and the upper secondary temporal. 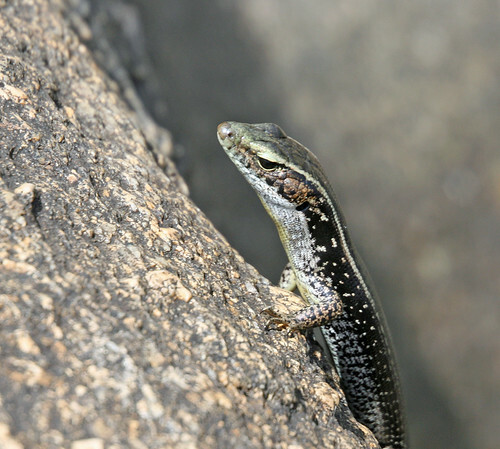 Most adult water skinks, the alpine species excepted, lack this scale morphology, having instead four or five variably enlarged and often obliquely oriented and asymmetrically arranged scales filling the gap between the upper secondary temporal on each side. Neonates (Fig. 2), however, have the more common lygosomine arrangement of two transversely aligned nuchals. Positive allometric growth of the upper secondary temporal relative to the parietal appears to crowd the post-parietal scales in adults. 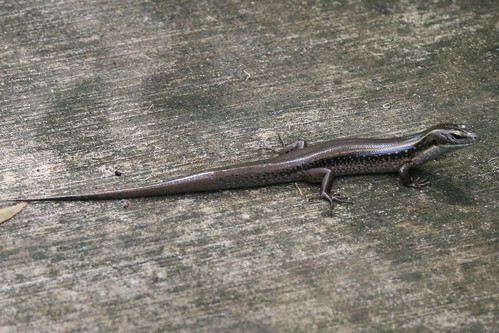 Water skinks as subadults and adults have smooth body scalation but neonates have all dorsal and lateral body, tail and limb scales keeled, with up to four low keels or pustules on each dorsal scale producing a wavy trailing edge. The scales become smooth and cycloid as the carination is lost at a snout vent length of about 40-45 mm. Presacral vertebrae 26. Phalangeal formula of manus and pes 2.3.4.5.3 and 2.3.4.5.4 respectively. Postorbital bone present, intraspecifically variable in dorsal exposure from elongate and extending to the supratemporal fenestra to greatly reduced and restricted to the region of thejugal articulation. Supratemporal fenestra large. Ectopterygoid without or with variably developed palatal process which may extend to the palatine, excluding the pterygoid from the infraorbital vacuity. Hemipenis elongate with deep distal bifurcation. Iris of eye black, indistinguishable from pupil in life. 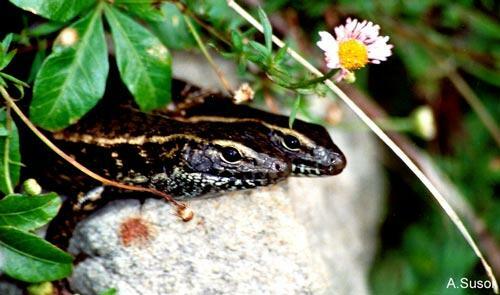 The water skinks show slight sexual dimorphism in proportions, females reaching a slightly larger SVL and males having relatively longer limbs and larger heads. Within species, dimorphism becomes more obvious with increasing body size. Both sexes attain sexual maturity at similar sizes (Hutchinson & Rawlinson 1995: 187). Comment Synonymy after COGGER 1983. Kaiser et al. 2013 considered the generic names Karma Wells 2009, Magmellia Wells 2009 invalid and rejected their use instead of Eulamprus. Type species: Lygosoma Quoyii DUMÉRIL & BIBRON 1839 is the type species of the genus Eulamprus FITZINGER 1843: 22. Phylogenetics: see Singhal et al. 2017 and 2018 for a phylogeny of Australian sphenomorphine skinks. Distribution: see map in Pepper et al. 2018: Fig. 2. Guibé, J. 1954. Catalogue des Types de Lézards du Muséum National d'Histoire Naturelle Naturelle. Paris, Imprimerie Nationale, 119 pp. Wells, R.W. 2009. Some taxonomic and nomenclatural considerations on the class Reptilia in Australia. 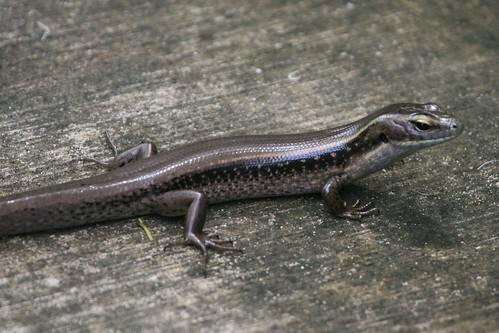 A review of the genera Eulamprus and Glaphyromorphus (Scincidae), including the description of new genera and species. 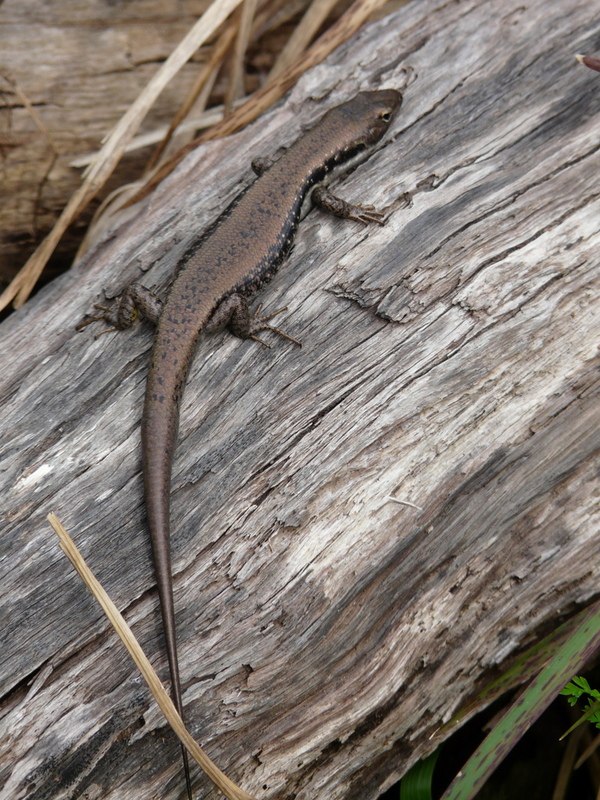 Australian Biodiversity Record (3):1–96.